Whittling is an age-old pastime not only in the United States but worldwide. Although it may seem this trade is old fashioned, a rise in the sales of whittling knives proves this hobby remains as popular as ever before. Many whittle as a hobby while some become artisans of the craft and use it as a way to create amazing art and make a living doing so. The most important choice that one can make as a whittler is choosing the best whittling knife. The best whittling knife will be both durable and flexible. This tool must be able to withstand pressure and torque but still maintain resilience. Although there are hundreds of knives to choose from, the below tools are all top notch wood carvers and have many features. In order to choose a whittling knife, the first thing you should consider is which is the most important attribute for you. Are you more interested in a comfortable handle? Would you sacrifice that comfort for a flexible blade? Do you plan on carving intricate designs or are you more inclined to whittle as a way to pass time? Asking yourself these questions will help you determine what exactly you’re looking for in a blade to whittle with. Each blade has unique attributes that may or may not be well suited for you. Are you interested in a whittling knife that folds or in a fixed blade that does not? The difference between these two types of knives is that a fixed blade will provide more stability and strength. A folding knife will be easier to carry along with you, and keep by your side or tucked away in your pocket until needed. Fixed blades are more heavily used by artisan whittlers and typically come with a sheath or cover. But, these knives are usually more difficult to carry from one place to another if you plan to travel with your knife. There are many different types of blades to choose from for both types of knives. Fixed blade knives only have one blade, while pocket knives can have one blade that has a variety of uses. There are also pocket knives with many blades that are each used for different tasks. The Flexcut Carvin’ Jack has six separate blades that can all be utilized for diverse types of carving. Blades such as coping and pen blades are used to etch out small detail. Spey blades are generally used for scooping out wood. A wharncliffe blade is a stout blade used to carve out large chunks of wood. Likewise, sheepsfoot blades are best utilized for precise clean cuts. Wharncliffe blades are often confused for sheepsfoot, so keep that in mind. Ergonomically speaking, the handle should feel comfortable in your hand. Sessions can often times last for a long time, so a handle that is comfortable is important to relieve the stress on your hands. The handle should be made from a durable material, but also provide you total control of the blade. 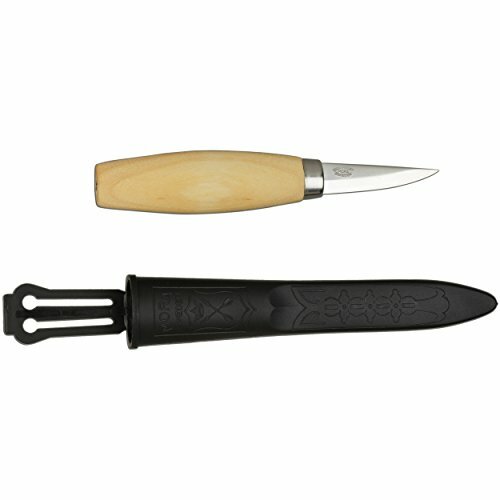 ​What’s the Best Way to Use This Type of whittling Knife? As stated above, some people whittle to pass the time and have no intention of creating a work of art. Others are interested in carving wood as a way to express their artistic inclinations. Both of these are completely acceptable uses of a whittling knife. However, it is important that anyone who decides to whittle is aware of the dangers associated with using such a sharp instrument. If used incorrectly it can easily cause injury. If you're an inexperienced whittler, it may be wise for you to start off with some cut ﻿resistant ﻿gloves. I would never recommend a person to use a dull blade to start with. A dull blade is dangerous, as it makes carving wood much more difficult and can cause the blade to slip into your finger. Cut resistant gloves are an inexpensive safety precaution that could save you a trip to the emergency room. We chose 5 whittling knives, which are superb and that fit best into each category above. Here is a quick look at each one in a little more depth. The Flexcut Tool Company is the manufacturer of the Flexcut Tri-Jack Pro. The company began manufacturing woodcarving tools in the early nineties specifically to “address the needs of modern hobbyist and professional” whittler and wood carver. The Flexcut Tri-Jack Pro is a conveniently small 3 oz. knife with a pistol grip that fits easily into any pocket. This knife has three separate blades each equally useful in the art of whittling. The Flexcut Tri-Jack Pro contains a roughing blade for removing large chunks of wood, a detail blade which is used to carve out intricate details, and a mini-cutting blade which is helpful in making fine and tenuous cuts. This particular knife is also known for its handle. Remarkably easy to grip and a nice fit for most any hand, this whittler should definitely be on anybodies list if they are interested in a light and useful whittling knife. Morakniv knives have been manufactured in Mora, Sweden since 1891 and has a long rich history of making high quality knives for every use including kitchen knives, outdoor knives, and of course woodcarving knives. This Swedish manufactured whittler boasts of a beautiful, oiled birch wood handle, a thin, tapered 2.4 inch blade made of steel that is laminated with a carbon core, and a light weight of 2.4 oz. Unlike the Flexcut Tri-Jack Pro, the Morakniv Wood Carving 120 Knife is is a fixed blade whittler and provides outstanding strength and maneuverability. Although many whittlers prefer pocket knives, it is important to note that wood carving knives like those manufactured by Morakniv are usually sturdier because they are not foldable. If you’re looking to use your whittling knife for a longer session or if you’re a stationery whittler who doesn’t need to carry it often, the Morakniv Wood Carving Knife may be the best choice for you. 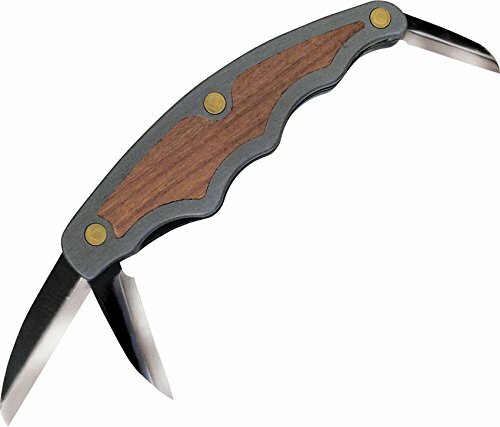 The Case Seahorse Whittler is a four inch long multi blade folder. With a sturdy handle made of fiberglass and epoxy accompanying three specialty blades, it is the eclectic choice for any whittler. A wharncliffe blade with a fragile flat-cutting edge and a small belly come in handy for slicing. While a pen and coping blade help hone out complex detail. 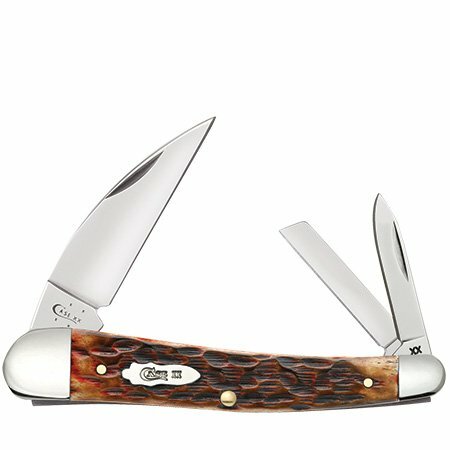 The Case Seahorse Whittler is also easy on the hands, the dog-leg handle “is curved so that there is a dip just behind the main blade. This means when you’re using the knife hard, or over an extended period of time, you have a place to rest your thumb, not only giving you more control over your cuts (obviously important for whittlers), but ensuring your hand won’t get tired as quickly”. This carbon steel multi-blade hailing from Germany has four ideal blades for whittlers and is known as “a pocket knife designed by a carver, for carvers”. 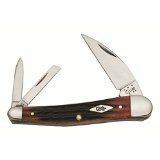 Boker is known for exhibiting a collection of high quality leisure, hunting, and collectible knives. 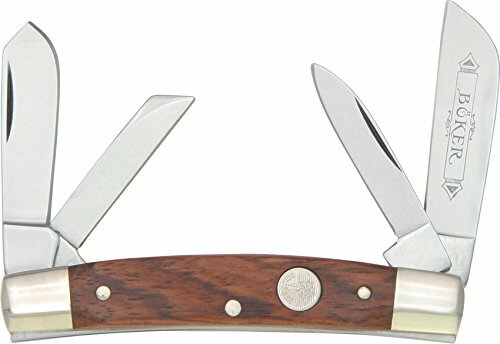 The Congress Whittler is one of their best pocket knives with a rosewood handle stretching 3 and ¾ inches with a sheepsfoot, pen, coping, and spey blade. A spey blade is not usually found as part of a compact knife, but it is a great blade for a whittler to have on hand if they plan on scooping wood. Similar to the Case Seahorse Whittler, the Boker Carver’s Congress Whittler also has a pen and coping blade to help carve out those intricately detailed pieces. The sheepsfoot blade has less of a piercing quality than the wharncliffe blade but is more useful for those interested in a whittling knife with increased durability. ​This second option from the Flexcut family has a total of six high carbon spring steel blades. The Flexcut Carvin’ Jack is 4 and ¼” long when closed and weighs in at 3.5 ounces making it light and compact. 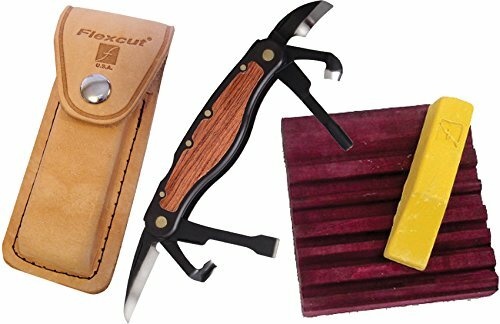 According to Flexcut, the Flexcut Carvin’ Jack “is the first folding multi-tool designed specifically for the needs of woodcarving”. The six blades are a one and ⅜ inch detail blade, a ⅜ inch straight gouge, a ⅜ inch straight chisel, a ¼ inch v-scorp, a ⅜ gouge scorp, and a ¾ inch hook blade. Having the Flexcut Carvin' Jack in your pocket is the equivalent to carrying a complete carving kit with you as you go. Although the Carvin’ Jack may be a bit pricey, it seems to definitely have enough features to be well worth its price. If you’re a serious whittler, who does a lot of trekking then this may be the one for you. So which whittling knife should you choose? It is in my opinion that the Flexcut Tri-Jack Pro is the best whittling knife listed. It provides three highly useful tools, a sturdy handle, and all of that accompanied with a household name like Flexcut. It's enough to assure that this whittling knife can be great for both professionals and casual enthusiasts. A conveniently lightweight and small sized tool is perfect for those on the go. It provides just enough blades to get the job done. While some might find that knives like the Morakniv Wood Carving 120 Knife offer too little, and knives like the Flexcut Carvin’ Jack offer too much, the Flexcut Tri-Jack Pro offers just enough to appease almost everyone. I have read your awesome article. Perfect information with detail pics. I would like to get a high quality antique whittling knife as a gift for someone. Do you have any suggestions as to where I could find something like this? Brand? Age? I would like to spend about $50, but want something that has a story or some history behind it. Thanks! 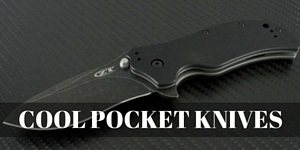 At thepocketknifeguy.com we’re committed to providing you with objective pocket knife reviews and informative articles to help you learn more about knives. Today’s Best OTF Knife – Quick Blades! Kershaw Link Review – Made In The USA!